PopTech 2009 Camden Maine Oysters from Maine at the Closing Gala, originally uploaded by ShashiBellamkonda. I love oysters having had them for the first time at the Etta's restaurant in Seattle where I went to attend Gnomedex. 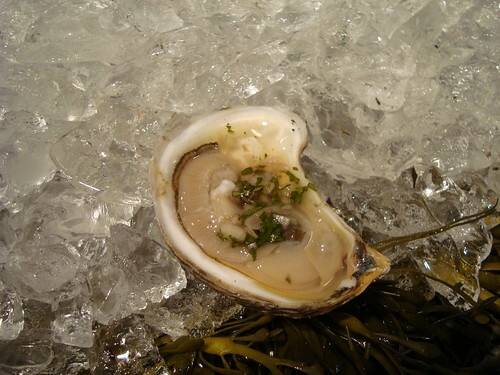 Then the next time was at the Poptech Closing gala in 2008 where you actually watched the shucking of the oysters.